Once your ground surface is properly prepared, and the concrete forms are set, Van Midde and Son can pour your concrete. Whether you want a concrete driveway, sidewalk, walkway, pool, floor, countertop or patio, we have the experience to do the job just the way you want. We understand how important it is mix the right concrete for your project. We know how to vary the mix if you want a stamped look, versus broom or smooth concrete finish. We have been pouring concrete in Marin County, Sonoma County and San Francisco for more than 50 years. 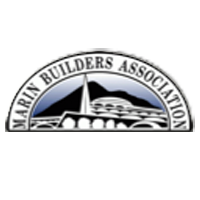 Van Midde and Son is Marin County’s premier concrete contractor. While the wet concrete is being poured, our expert concrete crew will make sure there are no voids or air pockets. The tools we use along and our techniques are unmatched in our local market. We will make sure that your concrete job is done absolutely right so that your concrete driveway, sidewalk or patio looks beautiful and lasts for years to come. Located in San Rafael, Van Midde and Son Concrete pours concrete in Marin County, Sonoma County and throughout the San Francisco Bay Area.